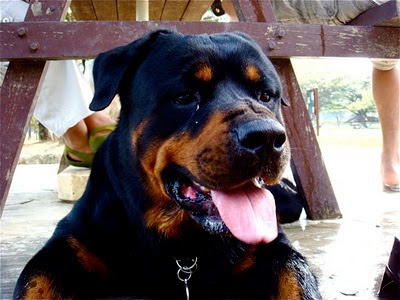 Bear Bear the Fearsome Rottie: Rotties in the news again. 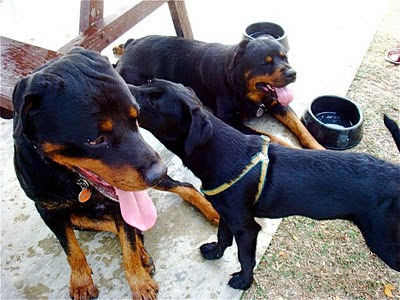 Rotties in the news again. Sometimes I wonder... what is basically wrong with people. The 4-year-old daughter of Jesse Browning -- one of the stars of The History Channel's "Ax Men" -- died tragically yesterday in Oregon after being mauled by one of the family's pet Rottweilers. 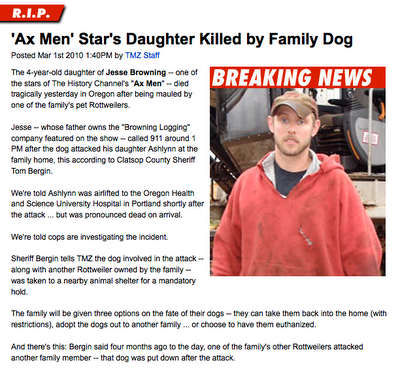 Jesse -- whose father owns the "Browning Logging" company featured on the show -- called 911 around 1 PM after the dog attacked his daughter Ashlynn at the family home, this according to Clatsop County Sheriff Tom Bergin. We're told Ashlynn was airlifted to the Oregon Health and Science University Hospital in Portland shortly after the attack ... but was pronounced dead on arrival. We're told cops are investigating the incident. Sheriff Bergin tells TMZ the dog involved in the attack -- along with another Rottweiler owned by the family -- was taken to a nearby animal shelter for a mandatory hold. The family will be given three options on the fate of their dogs -- they can take them back into the home (with restrictions), adopt the dogs out to another family ... or choose to have them euthanized. And there's this: Bergin said four months ago to the day, one of the family's other Rottweilers attacked another family member -- that dog was put down after the attack. I can spend my time here right now to tell you all the warning signs in the article that this owner should have noticed. That they had a previously aggressive dog, and after that dog was taken away, the pack obviously lost its leader. So another had to take its place. But it is easy to be an armchair warrior. It also doesn't change the fact that right now many people would further fear us... and this would be ingrained deeper into their minds. What can we do but to continue to try to change people's minds... But can all of you help a bit? Just the other day people were referring some of their friends who had problem dogs to me. One had destroyed a wall, 2 doors, a couch, and lots of shoes. So against his better judgment, and the fact Pa was busy, he spoke to a complete stranger on the phone, advising her how to assert authority over her dog. Be the pack leader. Not friend. However, she was always not home, and didn't really take care of the puppy she brought back from Aussie. So Pa was asking her just who took care of the pup and whether she would rather be the dog owner or pass the pup along. She was a little miffed by the question and insisted that it was her pup. "No I will not use a choke chain. That is not me at all. I went to dog classes before and they do not encourage using that and I agree. Its cruel." "Ok... that's fine. You said you went to obedience classes before? what did they teach you as a proper correction for the dog?" "huh? ahhhh....ah..... ermmmm.... this was many months ago. Let me recall..."
...That basically shows just how many times she actually corrected her own dog. It is owners like these that pass their dogs along once they are no longer cute... and with the new family, the problem either escalates as the dog goes through depression, or becomes quiet until the day it snaps. Dogs do go insane. Remember that. We(ADS) agreed with what you said in this post! But they never actually think that what's the cause and reason for all these canine attacks! Blame it on everything else, even an innocent choke chain. It's like saying cars are dangerous so don't use it. Humans are weird. Mousie Goulie the WahWah for adoption! Pa's photo in the Cover of the SKC Magazine!